Experiencing water damage is a homeowner’s worst nightmare. Walking into your basement to find it suddenly flooded is simply awful. It can be hard to know what to do or who to call. But if you delay, the chance of permanent damage increases – leading to more costly repairs and potentially dangerous decay. Pro Restoration, Inc. has over 15 years of experience helping homeowners recover from burst pipes, broken water heaters, sewage overflow, mold, and more. We understand that dealing with flooding in your home is an extremely stressful event, which is why we take great pride in not only fixing the immediate issue, but also preventing it from occurring again. When you choose Pro Restoration, Inc., you’re ensuring timely restoration and long-term safety and happiness! Our friendly, caring technicians are fully certified and equipped to handle any kind of water damage. And we are available around the clock, able to send a team to your home in minutes in the event of an emergency. Water damage can occur when you least expect it. But you can rely on us to handle your repairs in an efficient, effective manner. Take a look around and see what we can do for you! Contact us today to schedule a free on-site estimate. We will evaluate the damage and provide you with an affordable quote for the repairs. 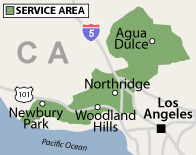 We offer our water, sewage, and mold removal and repair services to residents of the following cities and areas nearby in California: Van Nuys, Woodland Hills, Westlake Village, Sherman Oaks, Canoga Park, Encino, Calabasas, Newbury Park, Pacoima, Granada Hills, Northridge, North Hills. If your home has suffered from water damage of any kind, we are here to help. We will not only clean up the water or sewage, but we will also find the source of your problem and fix it for good. Additionally, we provide mold remediation and removal services. Call us at 1-818-477-3610 or contact us online today to schedule a Free Estimate.We serve all of the Greater Los Angeles County area, including Woodland Hills, Westlake Village, Sherman Oaks, Canoga Park, Van Nuys and nearby. Together we will overcome your emergency! Water extraction: Drying out your home after a flood can be tedious and troublesome. At Pro Restoration, Inc., we use high-quality extraction and drying equipment to restore your carpet or flooring without any lingering unpleasant smells or damage from moisture exposure. 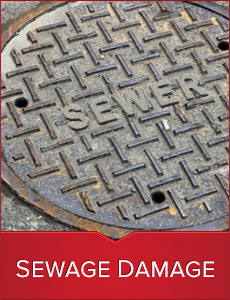 Sewage cleanup: Encountering sewage is not only extremely off-putting, but it can also be very dangerous. We have the tools to clean up the waste and the area, and prevent any lasting affects. Mold removal: Any home with exposure to moisture is in danger of mold damage, which undermines your home’s structure and is hazardous to your family’s health. 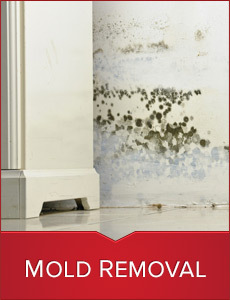 We are experts in finding and removing mold before it becomes a bigger problem. 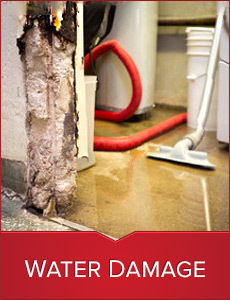 Water damage rehabilitation: We realize that not all water damage is dealt with immediately. If your home has sustained water damage in the past, Pro Restoration, Inc. can assist you in restoring it back to great condition! Don’t hesitate – contact us today! If you have experienced water damage, don’t let prolonged exposure to moisture ruin your home. We are here to help! As experts in our field, we are one of the few companies who will truly go the extra mile. We understand that a “quick fix” is not a fix at all, because it leaves you vulnerable to future disrepair. Pro Restoration, Inc. is locally owned and operated, dedicated to building relationships with our customers. Any day, and time, we will respond immediately to your requests. And we promise to restore your home to your complete satisfaction.